Mold Removal New Jersey FREE Inspection! When you overhear someone talk about the mold in their home, they likely sound animated with fear and annoyance (unless of course they are talking about the architectural feature known as crown molding that adds a touch of luxury to any room). But there is nothing grandiose about mold growth framing your bathroom tiles or spotting your bedroom walls. Just ask a mold removal New Jersey company and they will tell you that mold is a deadly thing to deal with, and understanding what it is, how it forms, and what health risks it poses will help you and your family take the necessary precautions to protect your home from mold’s devious clutches. In days of old, there was mold, and we still have it today. But what is mold? Commonly known as black mold, Stachybotrys chartarum is one of the most toxic molds because it multiplies in homes and businesses and is incredibly dangerous to humans and pets. It produces a strand of toxins called mycotoxins that cause a score of health problems. 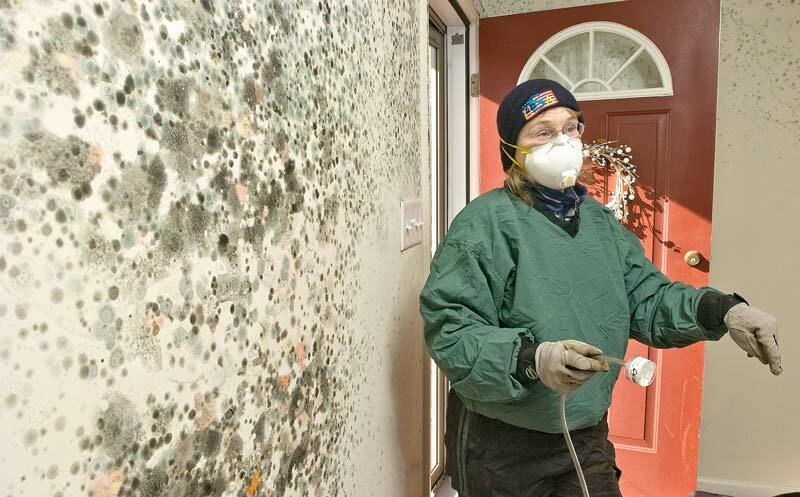 Mold thrives in dark, warm and damp environments and grows on any organic matter such as drywall, carpets, drapes, wallpaper, tiles, ductwork, wood and a number of other household materials. At first mold spores can’t be detected, as they are microscopic in their early stages. But after they have had time to multiply and grow, they appear on your walls or in between your tiles as black spots. If you see mold or smell a musty odor in the home, call a local company for a free mold inspection before you prolong your family’s potential exposure to this deadly assailant. What Are the Health Risks Associated with Mold? Mold can cause serious diseases and illnesses, and in some cases it causes death. In fact in 2009 Hollywood actress Brittany Murphy and her husband died from complications related to a mold colony that was growing in their bedroom. According to the Centers for Disease Control and Prevention there are a number of mold health risks that include developing asthma, lung infections, and respiratory problems. Early symptoms include red or itchy eyes, wheezing, coughing, allergies, fever, shortness of breath, and pneumonia can set it. Children, the elderly and people with chronic illnesses are especially vulnerable to the health risks that mold poses. There are a number of steps homeowners can take to keep mold at bay. The first thing you should do is have your home tested for mold before you start your fortification. Most established mold remediation companies offer a free inspection with an estimate. They not only check every corner of your home, they also test the air for mold spores that may be floating around. Once you get the green light that your home is mold-free, start by making sure the home is dry and properly insulated. Have your pipes checked for potential leaks. A leaking pipe can easily lead to a mold problem, especially in areas that are poorly insulated. If the plumbing is old and shows signs of rust or mineral buildup, consider replacing them. Pipe buildup can cause a crack that can flood your home and lead to a mold infestation. You can also invest in a room dehumidifier to help keep moisture levels under control. Finally, the best mold removal New Jersey companies warn to make sure your home (including the roof) is properly insulated. If there are open spaces under your roof tiles a heavy rain can cause water to leak in and create a massive mold problem.